I would like to present my comments on well-known paper by Alexander V. Chernetsky «About physical nature of biological energy phenomenon and its modeling» that was published in 1989 . He showed clear analogy between physical nature of telepathy and his discovery named as electrical «self-generating discharge» SGD. The SGD produce longitudinal electromagnetic wave that is not accepted in classical physics since it can be created only in some substance like the sound wave can be created in air. But it is the experimental fact and the substance we have to talk about is the ether or the material space. Alexander Chernetsky used the term «physical vacuum» to show principal difference between his «structured vacuum» and «vacuum as nothing». The waves we’ll discuss are the energy density waves created locally in space so there is some volumetrical density of this energy. In other words, the space is product or result of some process and its energy density is depend of the parameters of the process. When we’ll get the way to generate the wave it means to create some local change of the space or material object structure located in the area of the wave. The experiments proved it. The development of biological energy science is important direction of medical research in strength of the possibility to correct biological field of the object and it is the correction of the reason of the disease. Many scientists present the biological field like some special kind of the field but others think it is electromagnetic one. Academician Vernadsky developed the conception of global energy and information field of our planet that was named as «noosphere» and it is the result of any processes for all biological objects. In this case the biological field should be high penetrating field through any barrier or screen. Also it should be self-sustaining energy process to keep the information for a long time. 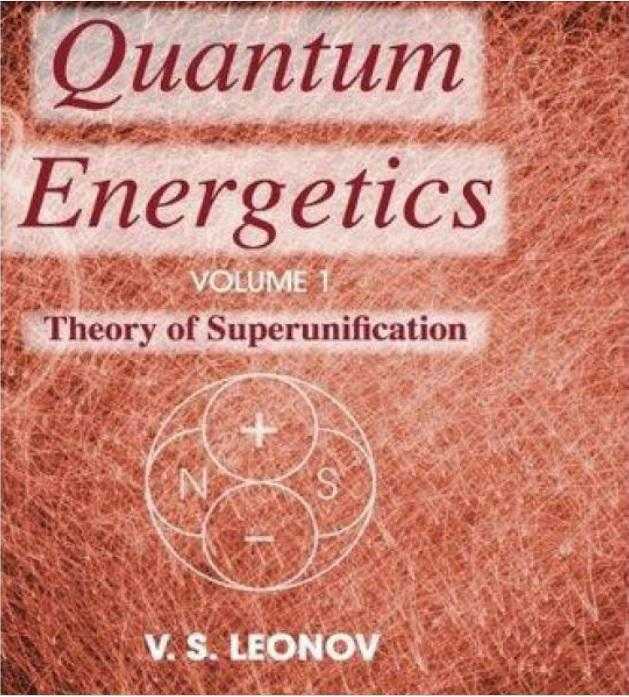 By Chernetsky the energy field of biological objects can be produced by longitudinal electromagnetic waves and they are generating by means of movements of electrical charges (plasma) in energy centers and channels of human, animal or plant . The electrical plasma of SGD he investigated is similar to biological plasma and it demonstrate the negative electrical conductivity that is the condition for self-sustaining energy mode. So, the medical topic we started is connected with «free energy» topic also, i.e. the wave must be getting energy from surrounding medium to exist and this method can be developed in fuel-less source of energy technology. By this way of operation the space itself is the source and it become locally more «thin» or more «rare» when the energy is extracted directly from it. The term «rare» is connected with some frequency of the process and I would like to note once more: the space can be considered as some periodical process of some frequency and its energy density is depend of the frequency. The mechanical analogy is some «free energy system» that is taking energy from invisible rotation of surrounding substance. From my point of view, this frequency can be considered also as local rate of time flow and the «time machine» technology is not impossible idea and it does not require some tremendous power input but it is the secondary effects of the free energy device if it is an «extractor» of power from the process of the existence of the material space. One of many experiments by Chernetsky was dedicated to investigation of biological nature of the longitudinal electromagnetic wave. The experiment was made in Moscow by V.I.Dokutchaev , in Novosibirsk by Y.V. Tornouev, and in Moscow by A.V. Chernetsky. Small animal was killed and just at this moment the electrometer detected the changes of electrical field gradient. The animal was submitted in metal box so classical transverse electromagnetic wave (Hertz wave) should be screened and only longitudinal electromagnetic wave (Tesla wave) can penetrate the screen. I have to note the analogy with N.A.Kozyrev’s experiments . He investigated the wave that is produced by any non-reversible process, for example by dissipation process or by deformation of elastic matter. The wave was detected by several methods: electrical component of the wave was detected by electrometer. The mechanical effect was detected by special rotational weight system. The wave produce changes of structure and electrical conductivity of a matter and it can be detected by any balanced electronics circuit when one element of the circuit is placed in the area of the wave. N.A.Kozyrev named the waves as «density of time rate waves». He detected this wave also for the process of fading of the part of a plant. So, the seasonal and daily changes in the energy density of space were described by many scientists as changes of the ether density can be explained by the changes in biological activity. For some applications it is useful to consider the same wave as the flow of some particles, named as «chronons» by Academician Albert I. Veinik . He detected local changes of the rate of the time by means of two equal quartz oscillators when one of them was submitted in the area of the generated «flow of chronons». Really, we have to talk about some changes in the matter structure (up to inter-atom distance) of the quartz that produce detected frequency difference. The same experiment was described by N.A.Kozyrev for his «wave of the density of the time». To use some common term let’s name this wave as the Energy Density Waves (EDW) in difference from electromagnetic wave (EMW). It is the longitudinal wave, i.e. the energy density is modulated in the direction from the generator to infinity. The velocity of the wave is the question of investigation but if the space (the ether) is considered as some solid state matter there are no any doubts to take it as super-luminal or instantaneous velocity. Let’s take an example: when one push the table at the same moment all points of the table are moving and the velocity is instantaneous. It is corresponding to Kozyrev’s theory and he proved it in the experiments to detect real and imagine positions for a star. He got information about visible star position by means of electromagnetic waves are spreading with limited velocity of light and the real position was detected by the trajectory of «wave of density of time» that is instantaneous information signal without any spreading. In other words, we have to use four-dimensional view to consider three-dimensional world as the system of some density of energy and when one create the changes of the density this four-dimensional wave is not spreading along some spatial dimension but it is created in all points of the Universe at the moment of creation. Sure, the value of the change near of the generator and far from generator is different so it is local changes in some sense. N.Tesla investigate the standing wave of electrical nature like the wave he observed in process of natural storm. In 1932 he wrote: «…I showed that the universal medium is a gaseous body in which only longitudinal pulses can be propagated, involving alternating compression and expansion similar to those produced by sound waves in air.» . Now we have few different views to the ether: Is it absolutely solid state body or the gaseous one? There is fine solution to solve the problem and this approach is proved experimentally by A.M.Mishin, St.- Petersburg . He published the results of long-time measurements he produced in his home laboratory. The equipment included special detector made as auto-oscillating electromechanical system with some biological element to get electrical signals from changes of biological plasma state. By Mishin, the system detected all turbulent disturbances (the temperature) of the ether, anisotropic properties (direction and polarization) of the ether and the ether fluxes (the ether winds). His conclusion is: the ether exist in different states and the state depend of the parameters of the turbulent disturbance. For ether-1 it is solid state body, ether-2 is dense superfluid liquid, ether-3 is connected with molecular motion and it is gaseous body, ether-4 is stellar plasma state and ether-5 correspond to galactical processes. By this view the Tesla’s understanding of the ether is true for certain energy level of process in the space. Kozyrev’s instantaneous interaction by means of active properties of time is possible in solid state ether. Let’s consider the technology of SGD by Chernetsky to show the source of energy for it. At first, we have to suppose zero point oscillation reality, i.e. vacuum structure is some process of transformation from photons to virtual electron-positron pairs and from electron-positron pairs to photons. When strong electrical field is created on surface of the plasma the vacuum structure should be polarized and by this reason the movement of virtual particles acquire certain direction to increase electrical field intensity and to accelerate plasma electrons. By this way Alexander V. Chernetsky explained his over-unity experimental results. [1, p.16]. He wrote about some kind of radiation that is created in biological over-unity energetics process like SGD, so by his opinion the global energy-information field of the planet (noosphere) is created as superposition of these self-sustaining waves. Also he noted some telekinetic facts can be explained by the hypothesis of vacuum structuring if human brain can produce quite powerful image of some object and this image will get energy from vacuum to interact with real object [1, p.21]. Let’s note the term «holography» that is useful for any case of information reproduction when some small part of the interferention structure include information about all sources of the waves. Since the global information field is produced by energy density waves we discussed above the interferention image will be four-dimensional structure and the notion of «part of image» is different from ordinary holography. In a few words: three-dimensional holography is result of interferention of electromagnetic transverse waves and the information is submitted in thickness of the photography emulsion so any point of surface of holographical plate can be used to reproduce all image. It is necessary to use some coherent source of electromagnetic waves (laser). Similar technology can be used to reproduce information from four-dimensional interferention structure but it is necessary to use some coherent source of the energy density waves. Also there is the difference: information can be reproduce from any point of threedimensional holography plate since there is some thickness of the plate, and information can be reproduces from any point of four-dimensional holography structure if we’ll use some period of time. The time axis is the analogy for thickness in this case. This hypothesis include supposition about some elementary period of reproduction for all material structure of the Universe. The Planck constant and discrete laws of quantum world allow to calculate the period of time that is minimal part of four-dimensional structure to reproduce it at whole image. From this point of view any process that is creating the energy density wave also it is production of the «recording» into global energy-information structure. Medical application of this theory is quite simple: it is necessary to produce some compensation «recording» to remove the disease or aging process. If three-dimensional holography image is copy of real material object that create the interferention structure of electromagnetic transverse waves in thickness of the plate, so fourdimensional holography is copy of real energy process that create interferention structure of energy density waves in structured vacuum. When three-dimensional holography is reproduced it is possible to see image without real material object. 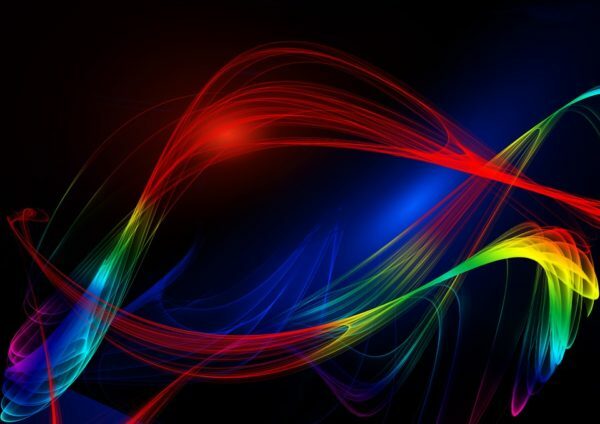 When four-dimensional holography is reproduced the energy process can be detected without material structure of a «generator» that is connected with original process. The power of reproduced process is depend of used coherent source of energy density waves. The change is produced by plasma particle and the source is direct current source only. The changes of electrodes polarity are possible only if the energy of the particle is increased in process of the movement in the arc gap between electrodes. Capacity and inductive parameters of experimental device define the resonance frequency of the oscillations. Chernetsky tested 3MHz oscillations and duration of pulses was about 30 microseconds. He used voltage 600VDC (direct current source). The plasma was created in hydrogen at pressure about 0.1 T. To consider the mechanism of creation of longitudinal electromagnetic wave Alexander Chernetsky used Dokutchaev’s theory of «charge equivalent» . The effect is explained as result of relativistic changes of distances for two groups of electrical charges those are in relative motion. Technical aspects of experimental SGD device were not detailed by Chernetsky in  but he explained the ways to get SGD. By his definition, self-generating discharge is special type of electrical arc that can be created at certain value of density of discharge current. Since voltampere diagram of any arc consist of decreasing and increasing part, Chernetsky noted two ways for self-sustaining electrical oscillations: at first, small current way on the decreasing part of the diagram when the resistance of the arc is negative, and at second, great current way on the increasing part of the diagram when the arc plasma electrons are interacting with strong magnetic field of plasma (so called pinch-effect was found by Chernetsky in 1960th). First way seems me as most simple and effective way and there were produced some simple experiments to prove it . But Alexander V. Chernetsky used the second way to get the self-sustaining oscillation in plasma. He noted: the pinch-effect produce the radial electrical field in the arc and corresponding radial magnetic field. In development of his explanation let me note: since the primary source create axial movement of changed particles between electrodes, the reason of radial separation and additional energy of the plasma particles is well-known Lorenz force. Positive feedback in this circuit is the next: pinch-effect compress the plasma in radial direction, then radial electromagnetic field interact with axially moving particles of plasma to increase radial separation, so the energy of plasma particles is increasing up to change of electrodes polarity that stop the arc process. The distances between moving charges are less than the distances between charges in rest. This change in distances is equivalent to some additional electric charge and it is proportionally to the velocity of motion. The effect was tested in superconductivity circuit that was submitted in metal box (Faraday screen) and when the current was created in it the changes of electrical field were detected out of the box. It is possible only for longitudinal electromagnetic wave to pass through metal screen . I have to note some connection with gravity experiments by Podkletnov who is experimenting with superconductivity circuit. The changes of weight he detected can be explained by interaction with longitudinal electromagnetic wave. The wave is the energy density wave and in area of the wave all material things will change the structure and the weight. Sure, it can be used for gravity drive design. Dokutchaev’s «charge equivalent» can be created both in superconductivity state metals and biological plasma, Chernetsky wrote. For the self-generating discharge the reason for longitudinal wave is radial component of the current (charges are moving both in axial direction between electrodes and they are oscillating in radial direction). Most important point is property of the wave to get energy from substance where the wave is created. It is based on negative conductivity of the substance Chernetsky calculated for the longitudinal wave. By this reason, the second law of thermodynamics can be discussed: if the vacuum consist of so called «virtual dipoles» so the structure of space can be ordered (structured) or disordered (unstructured). Chernetsky noted: the entropy is increasing in material world but this changes always is compensated by decrease of entropy (structuring) in physical vacuum. N.A.Kozyrev consider the same balance as changes of «density of time»: if some process, for example, crystallization or dissipation is created in matter, the corresponding compensation changes were detected in space near of the process [4, page 386]. The waves are generated by biological plasma produce the same structuring of the space and these «mind-forms» can demonstrate interaction with real material objects since the energy density wave are real energetically independent self-sustaining objects. Experiments were produced by A.V.Chernetsky, Y.A.Galkin, S.N.Kolokoltzev [1, p.84] to find changes in resistance of electronic circuit element if the element was submitted between plates of capacitor of self-generating discharge device. The same experiment was organized to show the changes of the oscillating frequency for quartz oscillator. The frequency was changed in 1000 times and more. It is necessary to note that the changes were unreversible after the structure of the elements was changed by the energy density wave. Other interesting aspect is long-time structuring of the space that was experimentally proved by Chernetsky: the area of space between the plates of the capacitor produced the same effects to change the structure of matter after the capacitor was removed or disconnected from self-generating discharge device. In this short review I tried to join some things to show real perspective ways for new technologies in most important applications for energetics, spacecraft industry, medicine and telecommunication. No matter if one consider it as far future fantastic perspective. It is reality and all you need is to create the arc by Alexander V. Chernetsky technology. 1. Chernetsky A.V., About physical nature of biological energy phenomenons and its modeling, Moscow, publ., by All-Union Correspondence Polytechnical Institute, 1989, ISBN 5-7045-0179-6. 2. Chernetsky A.V., Systems of electric charges separation and biological energetics, 1981, Magazine «The problems of medical electronics», number3, Taganrog. 3. Dokutchaev V.I., Theoretical investigation and interpretation of some problems are connected with movement of the electromagnetic energy, dissertation, Moscow Area Pedagogical Institute, 1970. 4. Kozyrev N.A., Selected works, 1991, Leningrad, Leningrad University. 5. Veinik A.I., Thermodynamics of real processes, Minsk, Nauka i technique, 1991. 6. Nikola Tesla, «Pioneer Radio Engineer Gives Views on Power», New York Herald Tribune, Sep.11, 1932. Also the concept is developed by Thomas E. Bearden, Gravitobiology, Tesla Book Company, CA, USA, 1991. 7. Mishin A.M., The Ether Model as Result of the New Empirical Conception, Proceedings of International Conference «New Ideas in Natural Sciences», p.95, by edition of Smirnov A.P. and Frolov A.V., St.-Petersburg, 1996, publ., by «PiK», St.-Petersburg 1996. 8. Frolov A.V., The work is created by means of potential field, Proceedings of International Conference «New Ideas in Natural Sciences», p.371, by edition of Smirnov A.P. and Frolov A.V., St.-Petersburg, 1996, publ., by «PiK», St.-Petersburg 1996.